The MOL (Manned Orbiting Laboratory), also known as KH-10 (Keyhole-10) or Dorian, was a manned reconnaisance platform developed by the USAF and prime contractor Douglas Aircraft Company in the late 1960ies. The crew was to launched and to return in a Gemini-B capsule, which was launched attached to the MOL. MOL would support up to 40 days of military reconnaissance using the large optics KH-10 Dorian imaging system and SIGINT payloads. For later missions, also a side-looking radar payload was planned. Two unmanned test flights on Titan-3M boosters were planned for 1970 and 1971 with manned flight to begin in 1972 at a rate of one per year. MOL was cancelled in 1969. 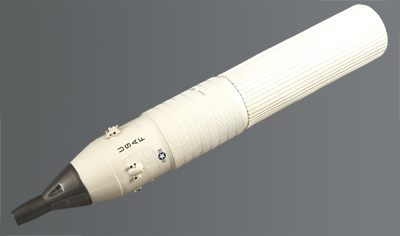 The Donkey SIGINT payload originally planned for MOL was transferred to the Multigroup 2/Setter 1B/Donkey SIGINT satellite and was launched in 1967. When KH-10 was cancelled in 1969, the unmanned electro-optical KH-11 Kennen satellite succeded it.